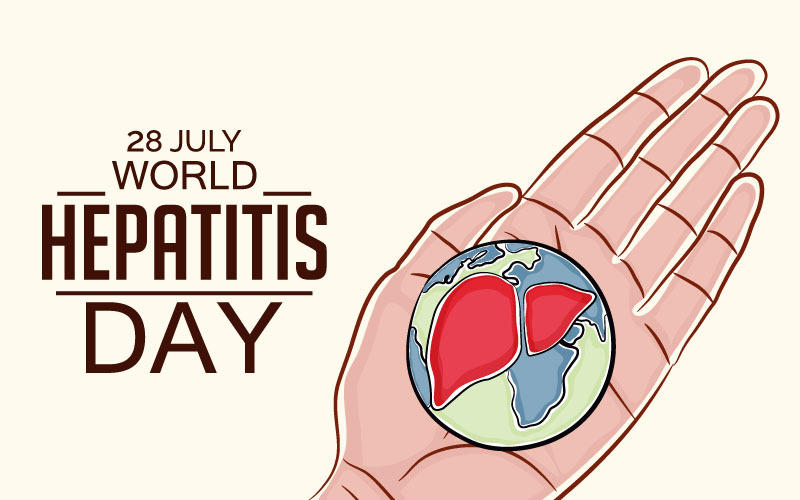 The World Hepatitis Day is being observed every year on July 28 around the globe to spread awareness about Viral Hepatitis. Observance of the day seeks to encourage diagnosis, prevention and treatment of Hepatitis. It also seeks to provide a single global platform to raise awareness about Hepatitis and influence real change in disease prevention, testing and treatment. The theme for World Hepatitis Day 2018 is: "Test. Treat. Hepatitis". Support the scale-up of Hepatitis prevention, testing, treatment and care services, with specific focus on promoting WHO treatment and testing recommendations. Showcase best practices and promote universal health coverage of Hepatitis services. Improve partnerships and funding in the fight against Viral Hepatitis. 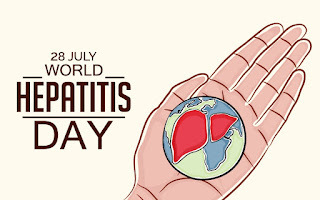 WHO had passed a resolution for observance of this day on Viral Hepatitis in May 2010, providing official endorsement to it. The date 28 July was chosen to mark the birth anniversary of Professor Baruch Blumberg who had discovered Hepatitis B virus. He was awarded with the Nobel Prize in Physiology or Medicine (1976) for this discovery. Hepatitis name has been derived from the Greek words 'Hepar' meaning liver and 'Itis' meaning inflammation. Thus, it is a medical condition in which inflammation occurs in liver cells and its complications vary with the type of infection. It is mostly caused by group of viruses called Hepatitis viruses. There are 5 types of Hepatitis viz. A, B, C, D and E.
Each type is caused by a different Hepatitis virus. Viral Hepatitis can either be hepatitis A/ E that spreads mainly through contaminated food and water or hepatitis B/C that spreads by body fluids, blood transfusions or even from mother to baby. Hepatitis B and C usually cause chronic Hepatitis and can progress to liver cirrhosis (permanent liver damage). Hepatitis A and E usually cause acute self-limiting illness, which resolves over few weeks. It has no specific treatment, but it is advised to rely on good nutritious diet and rest. Hepatitis E can sometimes be dangerous, especially in pregnant women and may cause liver failure. Q. What is observed every year on July 28 around the globe?